I take care of her and her exercise twice a week or so, whenever her owner does not have time. 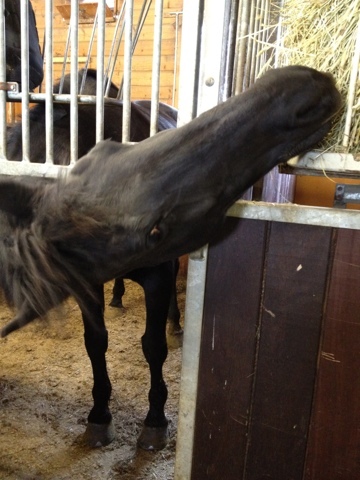 I've been riding in the woods, yesterday we got company from a Jutland horse, they are very heavily built horses whom usually work as carriage horses. 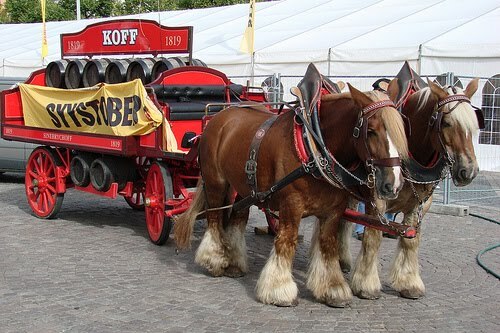 Everyone from Finland know the Koff horses, same breed. Even thou her own food is in her box, she loves to steal her neighbors food...greedy lady isn't she? 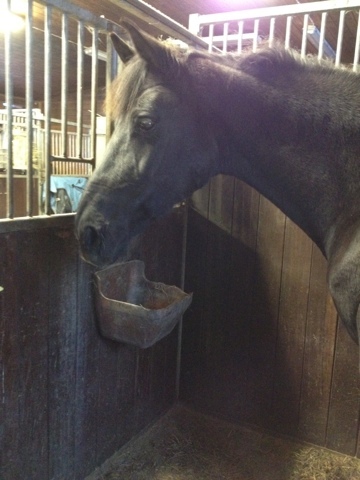 I hope to get soon some riding photos, only that I usually go to the stables alone...Anyone, wanna come and take pics? I dare to promise that if willing I can teach basic riding for a while, and if not, I promise you don't need to ride at all. It is so unbelievable for me that there's a lot of people who are afraid of horses and the whole thought of riding. For me, it is like a second nature. I love it, I could do it everyday for hours if I only had the opportunity to. Best thing I know for sure. I know, most people feel like this about their hobby, it's a lifestyle etc, but really, riding involves so much else too than just climbing up to saddle. You need to take care of a big animal, make sure it is healthy in everyway and has good,fitting equipment. ...and of course you need good equipment for yourself too. Which reminds me, I'm still in a need of good pants. I have 4. None of them are good, but I'm broke so have to go with what I got. About the money issue, I've been riding basically my whole life. I'm not that talented or good a rider or anything. But I'm good enough to take care of normal hobby horses. I know how to stretch them, how to train them and teach basic stuff(from saddle or not). So, when you reach this point you can search for ponies that need someone to do things with, when their owners don't have time. As a student I would not have money to take riding lessons, pay for my own horse etc, so this is a good deal to me. 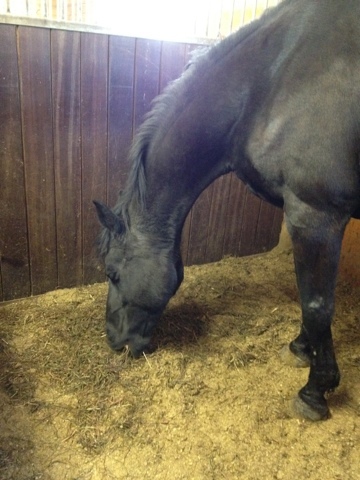 I get to be with horses(and ride) and owners get a stable-free day and they know that their horse is in good hands. Mahtaakohan tuo Laima olla sama joka asui Hertsbyn tallilla Sipoossa ainakin vuosina 2002-2006...? Itse kävin hoitamassa siellä silloin. Varmastikin sama heppa kyseessä, Laima on tullut Virosta 1995 tai 1996 Suomeen ratsastuskouluun Sipoossa, ja nykyinen omistaja kävi tunneilla Laimalla kunnes 5 vuotta sitten osti omakseen :) Nyt asustelee Sipoossa Mattaksen yksityistallilla ja tosiaan käyn hoitamassa ja liikuttamassa useamman kerran viikossa nyt Laimaa, ihana heppa ja osaavalta vaikuttaa!